Hi Everyone!  I am so excited and entirely honored to be a new contributor on Brooklyn Limestone—and I am especially excited to share with you all of the DIY projects I have in store for 2014. 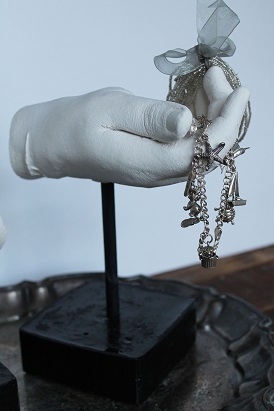 I was originally going to use them for displaying jewelry but I think I really like the simplicity of them on their own. The whole project cost around $20 dollars—how cool is that? This project is technically two separate projects but they only take about 30 minutes each to complete. Prepping the Wax: If you have the wax melter follow the directions. If you are using a pot make sure the pot you select is large enough to fit your hand and deep enough to cast up to your wrist without spilling over. Wax should be heated slowly and removed from the burner when it melts completely. It is safe to cast your hand at 120-130 degrees. You can harden the wax by placing it in the ice water for a few seconds being careful not to allow any water inside the mould. Continue adding layers of wax until you feel it is strong enough to contain plaster without breaking. Aim for ¼” to 1/8” thickness. Each hand takes about 2 cups of dry plaster mix so following the directions on your plaster box mix accordingly. Place your wax hands in a container that holds them vertical and pour into your mould. Allow 10-15 minutes to set before inserting your dowel. Each base takes 2 cups of dry plaster mix. When casting your base, allow to set 10-15 minutes before inserting a piece of dowel and removing. Be careful not to make it too large. Allow 24 hours to set. Using a blow dryer warm up the wax mould until it is pliable and begin removing from your plaster cast. For hard to reach spaces an exacto knife can be used. Touch up any rough areas with sand paper prior to painting. If you are using an acrylic make sure to properly seal it, spray paint can be used as well creating a more permanent seal. This is the coolest DIY I have seen in a really REALLY long time. I'd love to do with with my grandparent's hands! That's a wonderful idea-- I've seen wax casts where they are holding hands that came out awesome. I totally love this project!! Oh....this blew me away! I'm going to try one of my hubby (48 yrs) and mine. Would leaving rings on cause a problem getting the molds off? Leaving the bands on should be fine, but avoid the diamonds. The stones may loosen. Ummm I need to make some of these for Halloween ASAP! So cool. I've done something similar but with that jelly setting stuff & plaster (commonly sold in kits to cast your baby's feet/hands). I just bought the supplies separately online & made casts of my hands, for wacky objects. I left on my ring, and the details really show nicely. A few ladies in my area make these hand casts for moms who have had stillborns/ late term losses. Interesting seeing how its done- thanks for the tutorial! I've never heard of that before-- that's a really admirable cause.